One could easily argue that Iran’s ruling theocracy is facing the greatest internal threat to its rule since the 1980s. In the beginning of this year, the country was rocked by a mass uprising. The chain of protests was a major step forward for the domestic Resistance movement in the sense that it extracted political activism from farmers and the rural poor, despite the fact that these groups had long been thought to tolerate or even support the clerical regime. The December-to-January uprising was comprised of protests in upwards of 140 cities and towns spanning the entire country. And this diversity has remained on display in the ensuing months, as activist networks and entire populations continue to organize more localized demonstrations, in keeping with the call-to-action issued in March by Maryam Rajavi, the president of the National Council of Resistance of Iran (NCRI), a coalition headed by the principle Iranian Resistance group, the People’s Mojahedin Organization of Iran (PMOI/MEK). On the occasion of the Iranian New Year, Nowruz, Mrs. Rajavi stated “the coming year can and must be turned into a year full of uprisings,” which must continue “until final victory.” The NCRI has elaborately outlined what “final victory” might look like, and it entails the wholesale removal of the existing regime, and its replacement with a democratic system. Rajavi has articulated a ten-point plan describing the framework of this system, complete with free and fair elections, secular governance, safeguards on the rights of women and minorities, and a commitment to peaceful relations with Iran’s neighbors. So as Iran’s domestic situation and Western policies toward the Islamic Republic both contend with periods of upheaval, it is important to address two essential questions. Firstly, can the “final victory” predicted by Mrs. Rajavi actually be achieved? And secondly, if the clerical regime can indeed be driven out of power, what comes next? The January uprising goes a long way toward answering the first question, but there is little doubt that skeptical onlookers will entertain the possibility of the Resistance movement being effectively suppressed. But despite the mullahs’ brutal suppression of the protests, various cities have witnessed large anti-government protests that continued for several days at a time over the past few months. To this, one must add the strike by truck drivers that spread to hundreds of cities in all 31 provinces and continued despite officials’ attempted crackdown on the drivers. These events demonstrate the resilience of the Iranian public and the Resistance movement. That resilience has been evident for a long time, especially among the ranks of the MEK, which was the main target of an effort by the regime to stamp out domestic dissent in the summer of 1988. 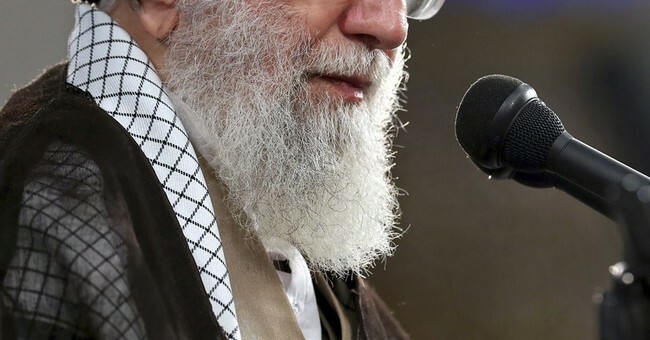 The leading opposition group made up the overwhelming majority of the 30,000 political prisoners who were put to death during that season, and yet it has only continued to grow since then, to the point that even Supreme Leader Ali Khamenei was forced to acknowledge that it played a leading role in planning and executing the anti-government demonstrations at the start of this year. The MEK has also been credited with many of the most serious demonstrations to emerge in the months since the nationwide uprising was broken. At the same time, various experts on the Middle East have rightly concluded that the regime’s repression would only fuel domestic unrest, ultimately contributing to the predicted “year full of uprisings.” This is especially likely when one considers that the uprising stretched Iran’s repressive institutions to their limits. So there is good reason for Washington to stay the course in this regard, and for European allies to join the effort on the understanding that it could greatly increase the odds of the Iranian people rising up once again and achieving their desired “final victory” over the clerical regime. Yet the real viability of this goal depends on the answer to the second question: What happens after the ouster of the mullahs’ regime? This question can perhaps best be answered by listening to the voices of Iranian expatriates, NCRI officials, and their international supporters, including a stellar bipartisan group of American political dignitaries and military commanders when they gather for the Free Iran 2018 rally in Paris on June 30. The annual event this year has special significance as a showcase for the broad popular support that has been on display recently for Mrs. Rajavi’s ten-point plan. With that plan as a framework, the NCRI has established a leadership structure that is ready to step in to replace the clerical regime and unify the population behind the most longstanding advocates for its collective dream of democracy and civic freedom. Such unity is the most important component to a peaceful transition of power, and the NCRI brings unity not only to the domestic population but also to all international policymakers who believe in Iran’s democratic future. It should be difficult for anyone to witness that unity at the June 30 rally without concluding that US policy toward Iran is on the right course. This escalating assertiveness ought to be understood as adding the Iranian people’s hope for a domestically-driven change of government. And the rest of the Western world should adopt a similar posture for that same reason.